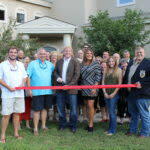 Travis Shaw, Owner and Broker of Travis Shaw Realty, has been in the real estate game for 12 years with four agents on staff, an office in McQueeny and providing residential and commercial services in New Braunfels as well. 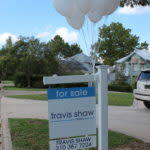 Travis Shaw Realty is your one stop resource to find homes for sale in New Braunfels, Texas. 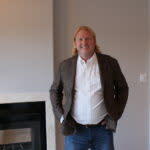 From relocating, to buying or selling homes, we do it all. Our membership in the San Antonio Board of REALTORS gives us unlimited access to information on all New Braunfels area homes for sale. 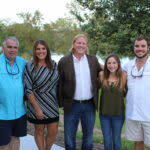 Travis Shaw Realty is here 7 days a week to discuss selling your New Braunfels, Texas home or to set up showings for any houses for sale in New Braunfels, Texas (including ranches and all other property types within and beyond Guadalupe and Comal County) that you find on our site. Set up an easy to use custom New Braunfels real estate search today or visit our home valuation site for an estimate of your home’s current value. Regardless of your situation: first time home buyer or seasoned real estate investor, Travis Shaw Realty can provide customized real estate services tailored to your specific needs and circumstances. 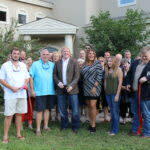 Contact any of the agents of Travis Shaw Realty 7 days a week to put them to work to find New Braunfels properties for sale that fit your criteria and lifestyle.